(Reuters) - Berkshire Hathaway Inc on Wednesday promoted two of its top executives, Gregory Abel and Ajit Jain, adding them to its board and cementing their status as the front runners to succeed Warren Buffett atop the conglomerate. Abel, 55, the chief executive officer of Berkshire Hathaway Energy, was named Berkshire's vice chairman for non-insurance business operations, while Jain, 66, Berkshire's top insurance executive, was named vice chairman for insurance operations. Buffett, 87, remains chairman and CEO of the roughly $500 billion conglomerate he has run since 1965. Charlie Munger, 94, who has worked at Buffett's side for more than four decades, remains vice chairman. Both Buffett and Munger will continue handling major capital allocation and investment decisions, including acquisitions, for Omaha, Nebraska-based Berkshire, though they have reduced their responsibilities in recent years with their increasing age. "It is probably fair to say it's not just the Warren and Charlie show any more," said David Rolfe, who oversees $5 billion of assets at Wedgewood Partners Inc in St. Louis, whose largest holding is Berkshire. "Today's news codifies the importance of Greg Abel and Ajit Jain to not just their current businesses, but their future authority once Buffett relinquishes the CEO title," Rolfe added. In an interview on CNBC, Buffett called Abel's and Jain's new roles "part of the movement toward succession" at Berkshire. "They are the two key figures at Berkshire" and "have Berkshire in their blood," he said. Many investors view Abel as the favorite to become CEO, citing his age and experience in acquisitions and operations. Still, Paul Lountzis, president of Lountzis Asset Management LLC in Wyomissing, Pennsylvania, said, "Shareholders should be happy that these large, large contributors to Berkshire's value are now vice chairmen and on the board." Both he and Rolfe consider Abel the top CEO candidate. While Munger had the idea to make Abel and Jain vice chairmen, Buffett said managing a large portion of Berkshire, including input on smaller acquisitions, would provide valuable experience to his successor. Buffett dismissed the idea of a horse race between Abel and Jain for the top job. "They know each other well, they like each other well, they both have their areas of specialty," he said. Berkshire's board will grow to 14 members from 12 with the addition of Abel and Jain. Buffett, who first publicly raised the succession issue more than a decade ago, said he remained in "remarkably good health" and that his health was not a factor in making the announcement. "Maybe six weeks ago," he said, "I just decided, 'Why not now?'" While Buffett has no plans to quit soon, when asked how long he expected to remain at the helm, he said: "Ten years would be a long time." Munger told CNBC he thought Berkshire shareholders had "seven or more good years coming out of Warren," but "not very many" out of him, saying, "I have to face reality." None of the executives was immediately available for interviews. Berkshire's Class A shares closed up 1.3 percent at $308,350.00. Its B shares also rose 1.3 percent, to $205.61. Abel, who grew up in Alberta, joined Berkshire Hathaway Energy in 1992. His Iowa-based unit now runs several power companies in the United States, Canada and Britain, as well as natural gas pipelines and solar and wind farms. Jain, a native of India who joined Berkshire in 1986, runs the reinsurance operations, providing coverage against major catastrophes and unusual risks. Berkshire's insurance businesses employed roughly 44,000 people at the end of 2016, while businesses that Abel will oversee employed about 323,000. Still, insurance remains critical to Berkshire, recently contributing $113 billion of "float," or premiums collected before claims are paid, for Berkshire to invest. 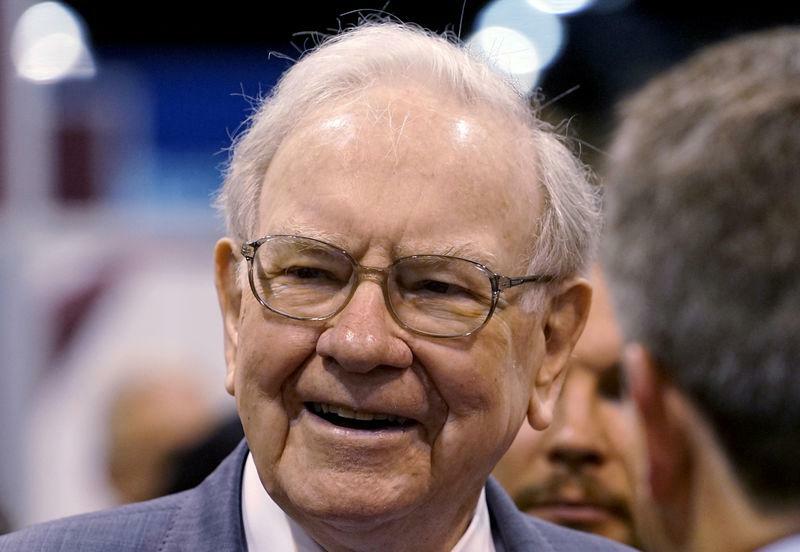 Buffett, the world's third-richest person according to Forbes magazine, has long said Jain has probably made more money for Berkshire than he has. "If Jain becomes CEO it would be great, but the complexity of the insurance business requires someone there with more day-to-day supervision," Rolfe said. In the CNBC interview, Buffett repeated that Berkshire’s board, whose members include Microsoft Corp co-founder Bill Gates, can install a new chief executive within a day when he steps down, dies or becomes incapacitated. Abel and Jain became the apparent front runners after Munger singled them out as "world-leading" performers in a 2015 letter to Berkshire shareholders. Todd Combs and Ted Weschler, who are Buffett's investment deputies, are expected eventually to succeed Buffett as Berkshire's chief investment officer. Buffett's eldest son, Howard, is expected to become Berkshire's non-executive chairman, to help preserve the company's culture.